On a spacious wooded campus it shares with a church and single-family homes, Park Place of Belvidere represents a nursing home that is first, and foremost, a home. Our highly qualified and compassionate skilled nurses and staff provide a patient-centered approach to short-term nursing and long term care while our location and amenities create a rich environment for residents to enjoy life to the fullest. We start with exemplary care. At Park Place of Belvidere, we provide physical therapy for seniors and others who require short-term nursing and therapy to recover their functionality and independence. We are equally committed to meeting the needs of those who need long term care. We have a high staff-to-resident ratio with skilled nurses and therapists available around the clock. 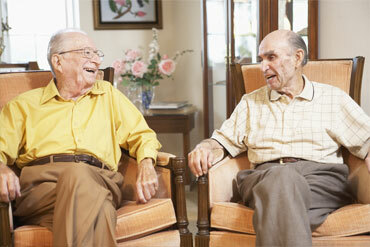 We also offer short-term respite care and hospice care. Physical therapy for seniors and others includes occupational therapy, physical therapy, speech therapy and IV therapy. Our skilled and licensed rehab team delivers therapy services in a state-of-the-art therapy room and gym. Our skilled nurses work closely with primary care physicians to ensure that you, or your loved one, receives the best possible short-term nursing or long term care. Along with physicians and a nurse practitioner making weekly rounds, Park Place of Belvidere also has visits from a podiatrist, dentist, eye physician and psychiatrist. We have working relationships with all major hospitals in the area and a commitment to care that considers the resident’s physical, emotional and spiritual wellbeing. Care continues with amenities and activities. Park Place of Belvidere is near the Kishwaukee River and the Kishwaukee Riverfront Path. The nursing home is situated next to a church and within walking distance of diners, a grocery store, a fitness center and the Boone County Historical Museum. The Boone County Fairgrounds are across town and excursions are made to the local zoo, pumpkin patches and apple orchards. Other activities held at the nursing home that you or your loved one will enjoy include a fall festival, ice cream social, weekly bingo, live entertainment and events that recognize the contribution of veterans. Our facility includes an activity room, two family rooms, , beauty salon, screened backyard and patio and a comfy lounge where you, or your loved one, can visit or relax with a good book. We have two dining rooms – one larger and one small. Food is prepared by our talented chef, working with our dietician to offer delicious and nutritious meals. Those meals are served restaurant style where you can order tableside. Our private and semi-private rooms have flat-screen televisions with cable access. Wi-Fi and private phones are also available. Housekeeping and laundry services are also provided.